Last Friday I ordered a server from Vilayer, which is one of the hosts we used for our old Dayz Mod servers. However, since ordering it, the server has not worked. I created support tickets that day, that have gone unanswered, but one reply stating it’d be forwarded. Last night (day 3) I got tired of waiting for a reply, and requested a refund, that ticket so far has gone unanswered as well. I did just get an email stating that the server we’re on had an issue and was undergoing maintenance. I randomly checked the control panel, and I’m finally able to edit the server.  I’m still unable to connect to it, which might be due to my DayZ client version. I can’t find much documentation, and I have no idea which server version the server uses, I was also unable to join other DayZ servers hosted with Vilayer, So I’m guessing my client version is the issue, or at least hoping. I’m currently downloading the latest experimental build, and we’ll go from there. Previous Story DayZ Server coming back! Next Story Server finally up. Info.